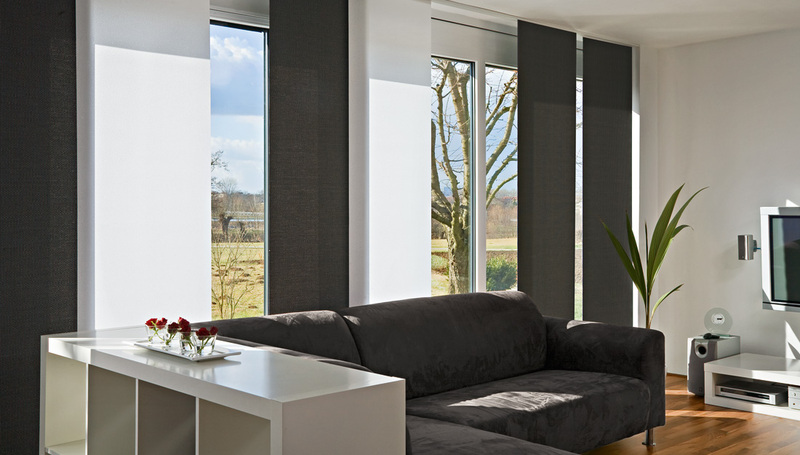 Perfect for floor to ceiling windows and large window fronts, the MHZ panel shade is a perfect option. The system can be arranged to use a number of panels, varying widths, and lengths in order to meet the unique needs of your space and it’s architecture. The system is comprised of an aluminum rail/guide that the panels move within. Each panel can be simply removed for cleaning or replacement. This way the system is incredibly versatile and many results can be easily achieved with the same system by only replacing panels. 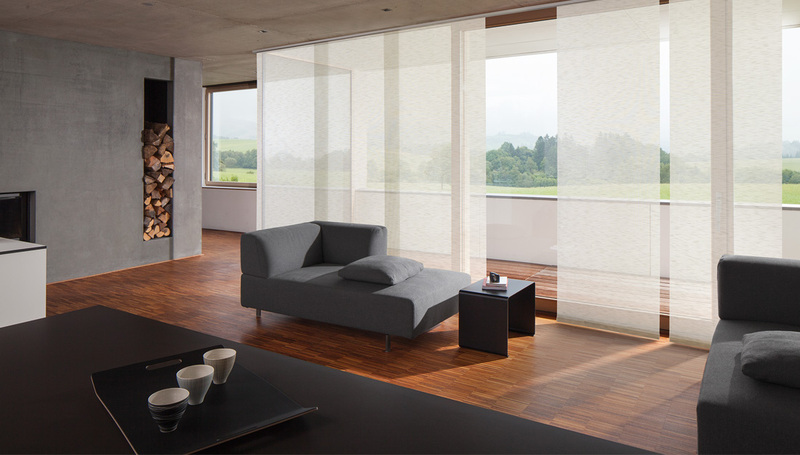 This functionality makes it perfect for changing to a different transparency level in different times of the year as the suns position in the sky may ultimately make some combinations less desirable during those months. This also allows simple changes to the rooms appearance with different colours or patterns. 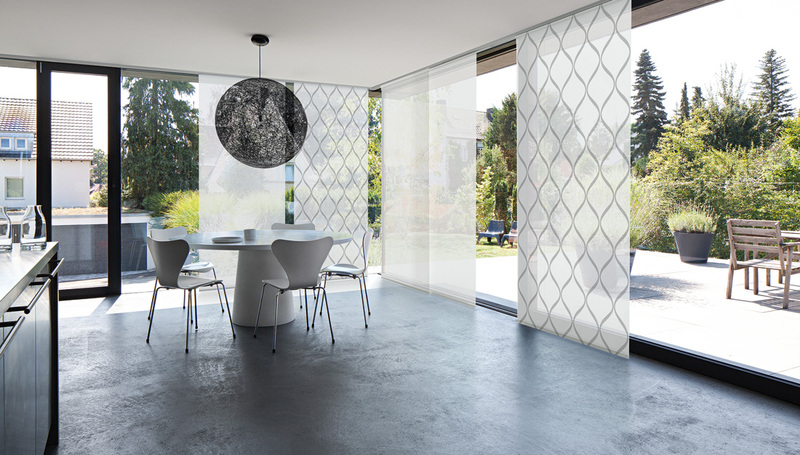 As with all products, the panel shade is custom made to your style. An alternative use for this product is as a room partition. It is available in a large combination of colours and patterns. 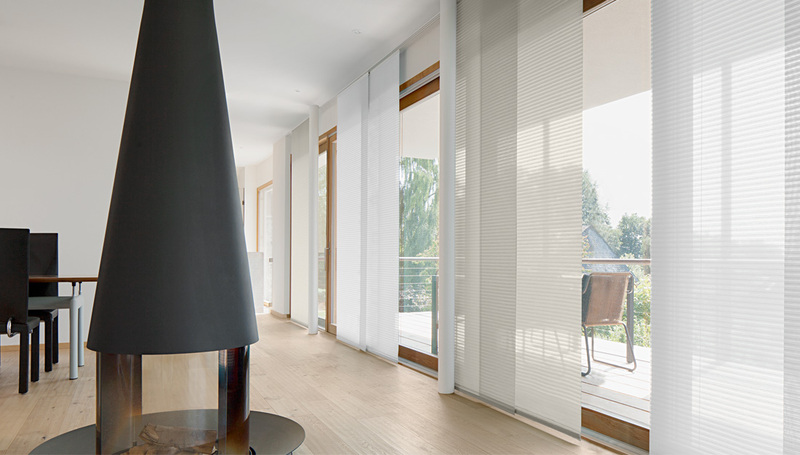 The collection includes over 390 panel options, in four transparency stages with function oriented fabrics including Trevira CS, Perlex, or aluminum back side coating, or fibre glass. The panels are flame resistant and anti-microbial, suitable for humid or wet environments.